The day began with a very thoughtful happiness moment. Even in my most tree hugging, pacifist loving, free spirited moments of life I have always realized I have the freedom to choose those beliefs because of the men and women who sacrificed everything so that we could live in this amazing country. I took the kids to a Remembrance Day ceremony in Cochrane this morning. They have always been very powerful for me and it felt good to share that with the kids. I love our country so much and I am so grateful that we are back home in Canada. This evening we celebrated my brother in law’s birthday. 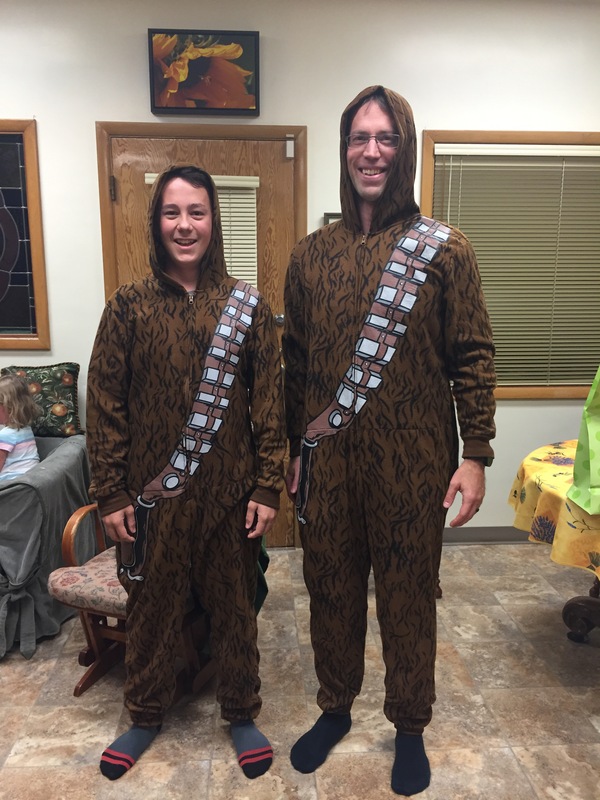 Because he’s so much fun and a great sport, he totally made Jacob’s evening by dressing up in his gift – a matching chewbacca onesie. What a pair they were running around the house roaring. We laughed so hard tonight – this is such a big part of why I’m so grateful I have the family that I do. This close knit tribe of people is something to be treasured and celebrated. Happy, happy, happiness.